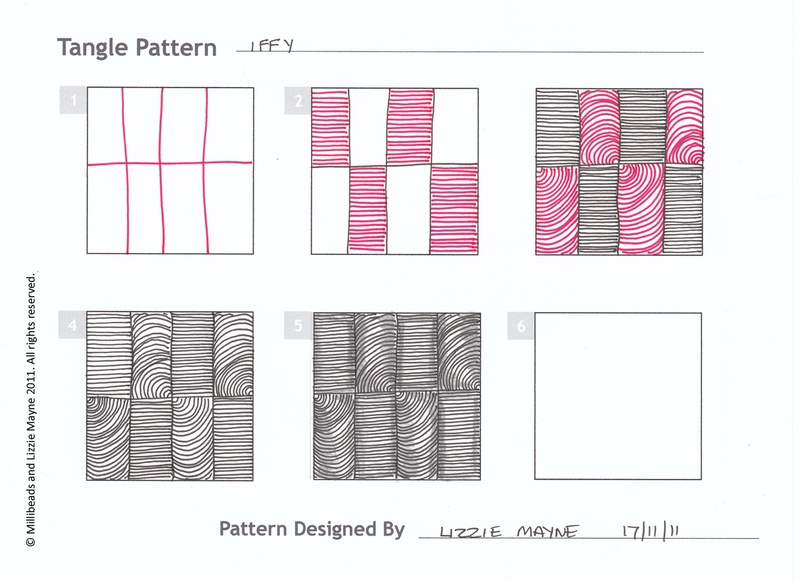 New pattern ‘Iffy’ as in dodgy. Two new patterns in one day. You’re being spoilt. This one is called Iffy as in dodgy. The reason! I started drawing another pattern called ‘Jalousie’ By Zendoodle-Wege ( I think she’s Dutch or German) http://www.flickr.com/photos/lilaphina/6305308777/#in/photostream. I went totally wrong with the pattern, but I was already committed on a piece of artwork I was creating and didn’t want to start again. Damn and blast I said (not). I had to rescue it and came up with a new pattern. A Happy accident. Go to the Tangle pattern page for a step by step guide.